that is not the only purpose of aesthetics. is that not the nature of aesthetic treatments? While soothing tiredness and also luxuriously drawing out sophisticated beauty, once a month, in a state of maximum relaxation, "Dandy House's Gentleman's Royal Combination" is an aesthetic treatment of unprecedented healing. It's like going to the hair salon once a month. You notice a release from your daily stress and an enhancement of your inner beauty. That's the feeling you'll get at Dandy House. Come and experience it! It is a mild, skin-friendly, foam-type detergent derived from amino acids. With the inclusion of Moringa (horseradish tree seed extract) and two kinds of enzymes with strong peeling effects, it cleans off proteins and other types of dirt that are too tough to get rid of with ordinary face-washing. Wrap yourself up in the airy, rich sensation of the foam and its unique aroma, reminiscent of happy memories. It will leave you feeling refreshed, and your skin glowing. Olive oil which had been certified by the Andalusian Ecological Agriculture Committee in Spain. Because its composition is close to human sebum and is familiar to the skin, it replenishes the intercellular fats that keep the moisture in the keratin, maintaining shiny, moist skin. Moreover, Virgin oil also includes antioxidants, such as polyphenol and vitamin E, so it is attracting attention as an anti-aging oil. We use luxurious ingredients that protect against dry skin and skin oxidation, and give your skin a beautiful, white finish. These include placenta extract, two kinds of yeast extract, vitamin E, an ingredient similar to ceramide, and soy lecithin. In addition, we combine moisturizing ingredients, such as shea butter and jojoba oil. That's why, although it's quick and easy to use, it gives moisture. It's a top-class body milk for a smooth, vivid complexion. 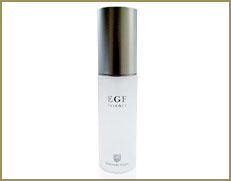 The finishing touches of the facial is done with the special care cosmetic 'EGF Essence'. Soft and smooth like a baby's bottom! Originally used as a medication for burns, this essence combines placenta extract and hyaluronic acid, as well as EGF (rh-Oligo-peptide-1) and silver nanocolloid (platinum) additives, which help to promote skin health and cell regeneration. It provides moisture to all kinds of wrinkles, dry skin and the like, leading to glossy skin with moisture and resilience. The skin becomes really smooth after the treatment. I never liked the stickiness after a massage, but I am surprised at the moist feeling of olive oil. Even with all the technology that goes into it, there is no itchiness or anything like that, just wipe off for a sense of long-lasting moisture.